In the not too distant past braces were usually seen as something worn by children and teenagers. Certainly never worn by adults but things have changed considerably over the past few years. These days it is becoming increasingly common for adults to seek orthodontic treatment. You may have seen friends or family members wearing braces to achieve a straighter smile. There is certainly no stigma in wearing braces as an adult. Instead, it can show that you take care of yourself and like to look after your dental health and your appearance. The technologies used to make adult braces are extremely advanced and can provide excellent results more quickly than you might imagine. There are also a considerable number of braces to choose from. Although your orthodontist is likely to recommend one or two particular choices over the others as being able to provide you with the best and most precise results. Thus, giving you the smile you desire. Why Even Consider Adult Orthodontics? Having nice straight teeth can bring about numerous benefits. Firstly, straighter teeth look more attractive which in turn can help increase self-esteem and self-confidence. 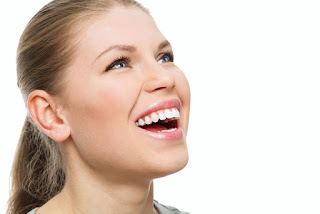 A straighter smile can convey a sense of youthfulness, especially as treatment is often combined with teeth whitening. Additionally, having a straight smile shows you look after your teeth and that you care about your appearance. This may help you in your career or even in finding a life partner. Then there are the potential benefits to oral health and which often overlooked. While a straighter smile is undeniably more attractive, it can frequently be healthier and could be a great investment in your long-term dental health. Do you struggle to comfortably fit a piece of floss in between crooked or rotated teeth, or in between teeth that are tightly packed in? Now imagine the benefits of having beautifully straight teeth that make it easy and comfortable to thoroughly floss in between each tooth. Flossing is an essential part of any oral care regime. It helps to prevent tooth decay and gum disease, so your natural teeth stay strong and healthy for that much longer and hopefully for your lifetime. If you have a bad bite or poor occlusion then your teeth will also benefit considerably from being straightened up. With a bad bite, it’s highly likely that some teeth will bite together before others leading to unusual wear patterns and increased stress on these teeth. When teeth are properly aligned then they will bite together more evenly, reducing stress on these teeth and on your jaw joints. You may even find it more comfortable to bite and chew food! What Are the Options for Adult Orthodontics? The best way of finding out all possible options for orthodontic treatment is to visit a dentist with considerable experience and training in orthodontics. Visit a dentist who can offer you a wide choice of adult orthodontic braces. Alternatively, see an orthodontist who is a dentist with advanced training in the dental specialty of orthodontics. After first examining your teeth and the relationship between your jaws, they will be able to suggest the best possible option for your needs. This will be based on the orthodontic problems requiring correction and your desires for treatment. Adult braces can be fixed or removable. Removable braces are a very popular choice. Fixed braces can work a little better when correcting more complex orthodontic problems. Your dentist will discuss which options will be most suitable for you and why they have chosen these particular braces. There is no need to worry that your new braces will be highly visible as even fixed braces can be made so they are extremely discreet. Another advantage to think about if you have been recommended to have a fixed brace is that they will be working all the time to move your teeth. With removable braces good compliance is vital. Usually, the braces must be worn for at least 22 hours in order for the treatment plan to be successfully completed on time. One of the most popular removable braces is a system called Invisalign. This is where teeth are discreetly moved using a series of clear BPA-free plastic aligners. These are custom-designed to fit tightly over the teeth and each set will move the teeth a little closer to their perfect positions. You simply need to wear the aligners for two weeks before discarding that set for the next set in the series. A lot of adults like this system because it is so discreet and because the aligners may be left out for the very occasional event. The aligners are also taken out whenever you wish to brush or floss or to eat, so there is minimal impact on your everyday life. However, fixed braces can be equally as good. With a fixed brace, it’s usually possible to use clear or tooth-colored ceramic brackets that are attached to very thin wires. It provides optimal results in a way that is incredibly discreet. Lingual braces are fixed onto the inner surfaces of teeth so they cannot be seen. You will need to avoid some very crunchy or hard foods during treatment. Ultimately the results should be well worthwhile and modern fixed braces such as Mystique are often designed to work very quickly. If your teeth are generally in the correct bite you might be suitable for what’s called a cosmetic brace. This concentrates purely on moving the front teeth and isn’t designed to correct any major orthodontic problems. As a result, treatment is fast and extremely affordable. You might be able to complete treatment within just a few weeks or months so before you know it, you will have that beautifully straight smile you desire. Once your teeth are straightened it’s usually desirable to whiten. Very few adults have naturally white teeth and this can provide that perfect finishing touch to your new smile. A professional tooth whitening treatment is very safe and effective. It will help bring your smile to life, creating that naturally white and youthful look that we all desire. Once all treatment is completed then don’t forget to wear your retainers. They will ensure your teeth keep looking just as straight and beautiful as the day your braces were removed.